Beauty and utility never harmonized so well—hard walnut wood construction, generous storage and dark, glossy varnish give functionality and class to the modern bedroom. Product Description Like a Dream. Polished sable varnish, pragmatic and versatile utility, and reliable yet playful personality are united at last in the Sullivan youth nightstand. Natural walnut veneer over delicate molding and bold, dark hardwood surface evokes natural beauty and a strong, solid build. The complementary color and style, along with the metal accents and subtly distinguished traits of this piece makes the entire collection flow together in peaceful simplicity, like a pleasant dream. Customer assembly required. 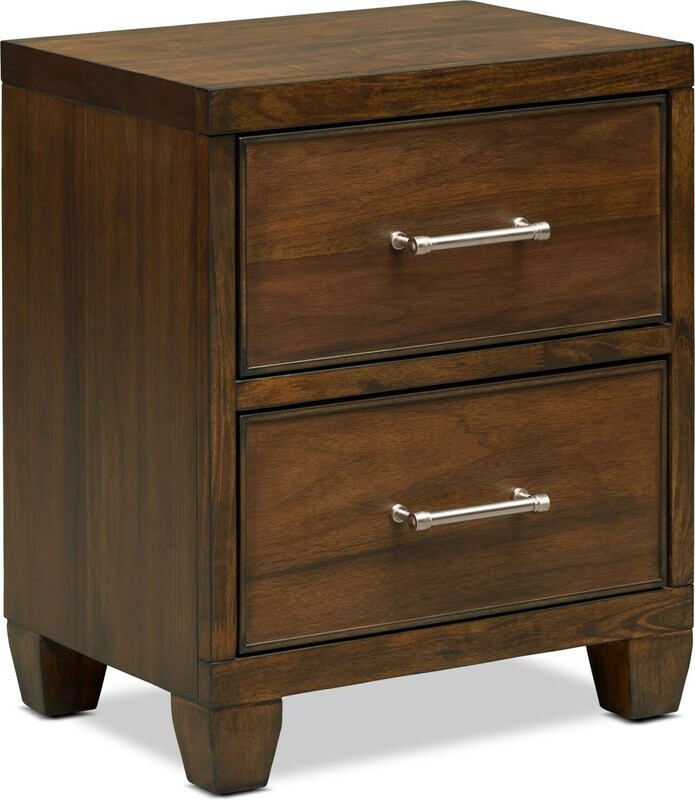 Unique Features: Convenient bedside storage for everyday items are easily accessible. Polished hardwood stands up the frequent use without losing its shine. Low and sturdy profile is easy to reach and works wonderfully as an accent piece. Construction: Constructed of durable rubberwood solids and MDF for a resilent framework. Care Instructions: Wipe wood surface with a damp, clean cloth, then buff immediately with a dry, soft cloth.